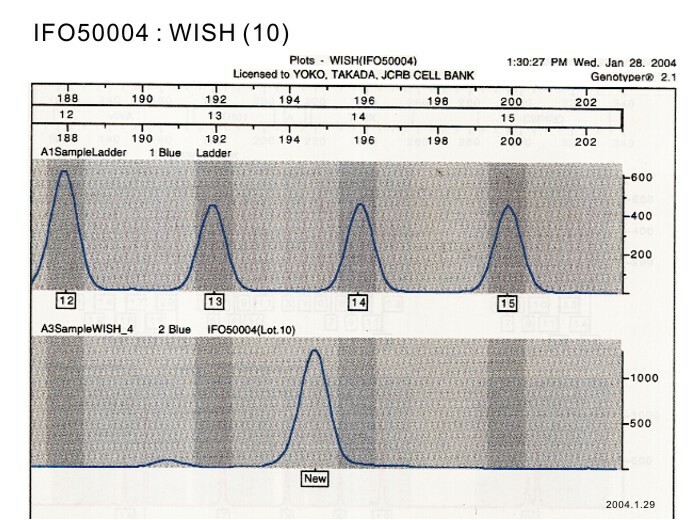 IFO50004 WISH is derivative from HeLa. 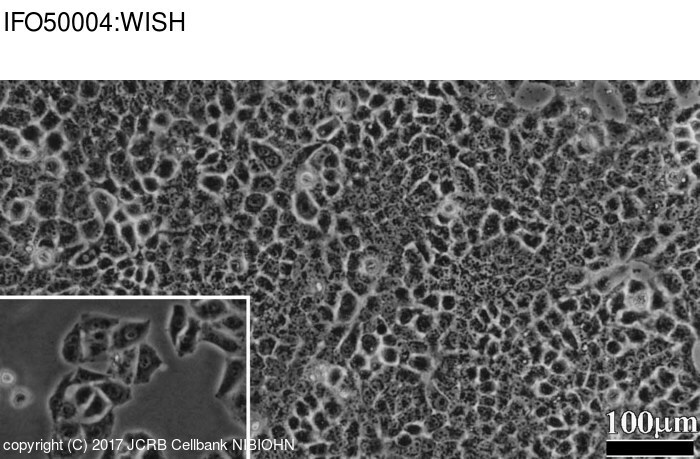 WISH cell line was established as human amnion-derived cell line. 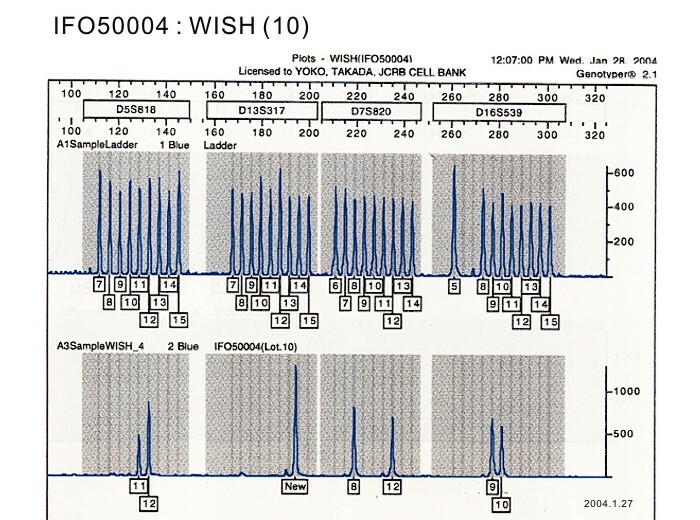 However, later studies by chromosome analysis and by DNA profiling revealed WISH is a derivative of HeLa (human uterine cervical carcinoma-derived cell line). This replacement is worldwide, and therefore the replacement (or cross contamination) occurred early in the establishment of WISH. This cell line has been used for many studies, and therefore cell bank does not stop the distribution of this cell line. But it should not be used for the studies of amnion cells. Cells were reported to established from human aminion but later HeLa markers were observed. Originally established from amnion, HeLa-contaminated. The somatic chromosomes of 3 lizard species: Gekko gecko, Iguana iguana, and Crotaphytus collaris. [Abdominal symptoms simulating acute appendicitis in childhood]. 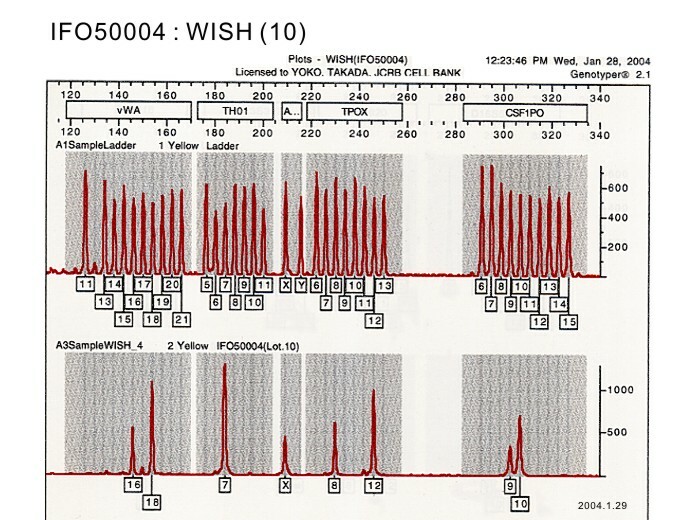 The establishment of a line (WISH) of human amnion cells in continuous cultivation.